There are more than 22 organs in the human body. This is a list of the ten most vital organs which is usually taught about in elementary school. You will learn about the organ's job or function, as well as some interesting facts! The skin is the largest organ in the human body. Its main job is to maintain the body's temperature, which means that sweat is created to cool the body, and goosebumps or raised hair occur to trap heat in the body. Along with sweat glands, the skin contains oil glands. The oil your skin releases helps to keep your skin from drying out and your hair from becoming brittle. The skin also regularly sheds cells to maintain its effectiveness. If you can imagine, there are about 19 million skin cells in every square inch of the human body! The brain is the controller of your body, and stores information, allows you to think and learn, as well as controls vital daily functions, like digestion, heart rate, and breathing. The brain receives impulses from your nerves, which are located throughout your body and respond to pain and other stimulation. Even though the brain is so important, it is also very delicate. The brain is made of soft tissue and is protected only by the skull, which is why head injuries can be so serious. 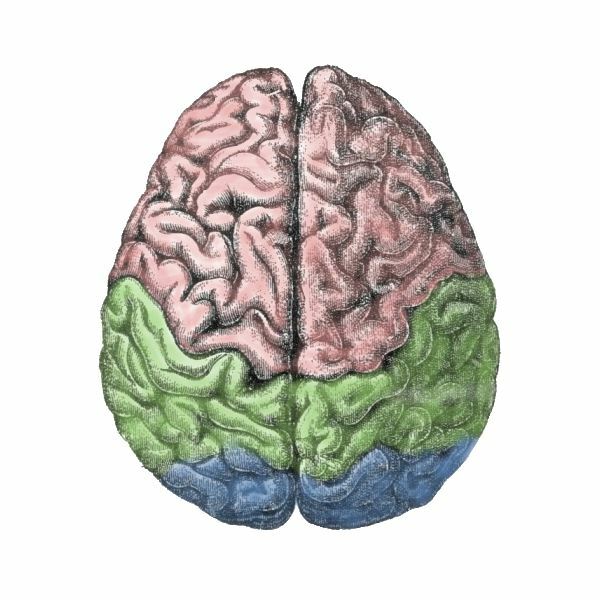 The average adult brain weighs 3 pounds. The heart is another vital organ. The heart's job is to pump oxygenated blood throughout your body and receive deoxygenated blood back in return. 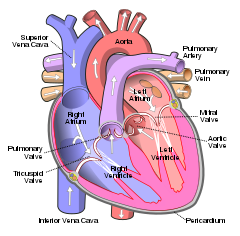 Without your heart, your other organs would not receive oxygen or have carbon dioxide removed. In an average lifetime, the heart beats more than 2.5 million times! The kidneys are located under the ribcage in your lower back. The job of the kidneys is to filter things like water and salts out of your blood and to produce urine. The kidneys also produce an enzyme called renin. This enzyme plays a big role in regulating your blood pressure. Did you know that a healthy person is able to live with only kidney? The liver is located in the upper abdomen, slightly more to the left side. The main job of the liver is to produce bile, which it sends to the stomach for digestion. The liver also filters out toxins and regulates blood sugar. Blood sugar is regulated because the liver converts sugars and stores them, releasing them when more sugar is needed in the blood. The liver is also in charge of releasing cholesterol, breaking down fats, and producing blood proteins. It is the largest internal organ! The pancreas is located in the abdomen, behind the stomach. The job of the pancreas is to produce enzymes necessary for digestion and send them to the stomach. The pancreas also regulates blood sugar and does this through its process of creating insulin. The pancreas also creates glucagon which has the opposite effect of insulin and also helps to maintain blood sugar levels. The stomach receives food from the esophagus and sends it into the small intenstine. The stomach's role in digestion is to break down food and mix it with digestive juices or enzymes. The job of the small intenstine is to digest food. It does this using chemicals, such as emzymes. The small intenstine also absorbs nutrients from the food through villi and gives these nutrients to your blood. The small intenstine is 5 meters long! The food moves from your small intenstine to your large intenstine with a series of muscle contractions. The large intenstine is located in your abdomen and is 1.5 meters in length! The large intenstine is involved in digestion, and receives undigested food from the small intenstine. The large intenstine then absorbs as much water as possible and then expels the waste and any excess fiber. The lungs are located in your chest and are protected by your rib cage. The lungs take in oxygen which goes into the blood through the heart, and expels carbon dioxide as the heart receives unoxygenated blood. BBC Science Interactive Body: This game is like a giant jigsaw puzzle of the organs in the human body. It has a list of organs in the human body which you click on and drag it to the right place in the body, rotating if necessary. There are also a number of interesting facts for each organ. All Systems Go! : This game is a puzzle as well. A picture of a character named Arnold is shown, along with his missing organs. You have to place the organs back in his body in the correct place. If you put an organ in the wrong place, all of the organs fall out of his body and you have to start again! This list of organs in the human body and these practice sites will help you learn how your body works and help you ace your test at the same time.